Prince George’s County Firefighters fought a raging house fire that caused minor injuries to two of the home occupants and a firefighter. Firefighter/Medics from the Chapel Oaks Fire/EMS Station and surrounding communities were alerted around 4:15 am, Tuesday, June 14, 2011, to a report of a house fire in the 1400 block of Early Oaks Lane in Capitol Heights. Firefighters arrived and found a 1-½ -story single family home with heavy fire showing. Firefighters stretched hose lines and initiated an exterior attack on the fire as well as protecting nearby structures. Paramedics tended to the homes occupants, 5 adults and 4 children, which had escaped the burning home prior to the Fire Departments arrival. An adult male and child sustained minor injuries and were transported to an area hospital. It required an hour and 15 minutes for 35 firefighters to extinguish the fire. A firefighter sustained a laceration to his hand that required a trip to a local hospital, he was treated and released. 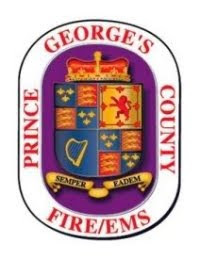 The cause of the fire appears to be “suspicious” and Prince George’s County Fire Investigators are continuing their investigation into the exact cause and origin. The home is a total loss. The family is displaced, however, due to the open and on-going status of this investigation, information about the displaced residents will not be released.